Hoanh Son Beach in Ky Nam commune, Ky Anh District, central Ha Tinh province is 2km from Ngang Mountain Pass. Everything here is still primary like a pass and Hoanh Son Mountain Range. Enclosed by a mountain range, Hoanh Son Beach is small and windless as its water always is clear and blue. 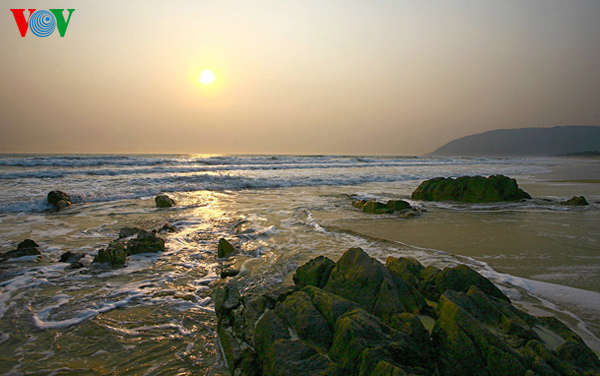 From the beach, visitors can see Hoanh Son Mountain Range as part of Truong Son Range overlooking the East Sea. They are instantly impressed by the breath taking scenery and simple life of local people.